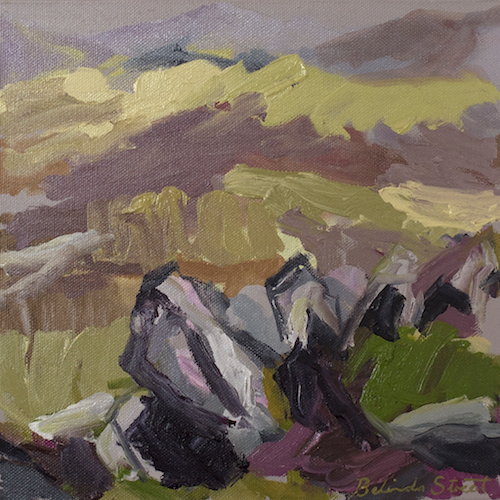 Belinda has made in excess of 80 works of the Kosciuszko and Monaro area over the last decade, inspired by an infinitely changing landscape with distinct seasons, both shifting and unstable. 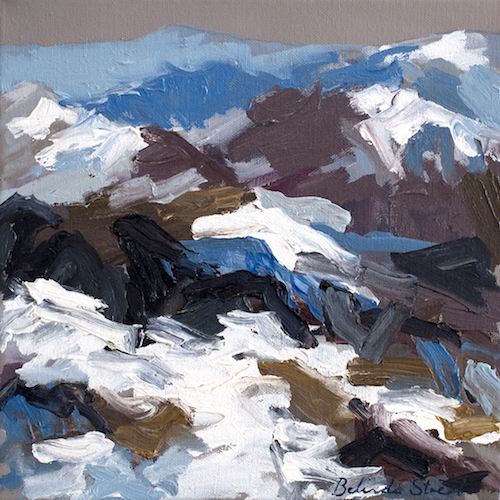 The Kosciuszko landscape possessing a sense of awe, a landscape of scattered rocks, sharp crags and alpine loneliness. The Monaro Plain in contrast is beautiful in it’s far horizons, swaying grasslands and rounded granite boulders. An endless supply of sublime visual inspiration. Dungog Contemporary is currently showing ten carefully curated works from this beautiful gestural series of paintings, there are smaller studies through to a large major work. The uniquely Australian alpine palette and vigour of the works transporting the viewer into the landscape bringing an essence of place. Street was twice winner of the Mosman Youth Art Prize. Being awarded a full scholarship to the prestigious Julian Ashton Art School, she went on to attain a degree in Visual Arts at Newcastle University, with Honours at The College of Fine Arts. 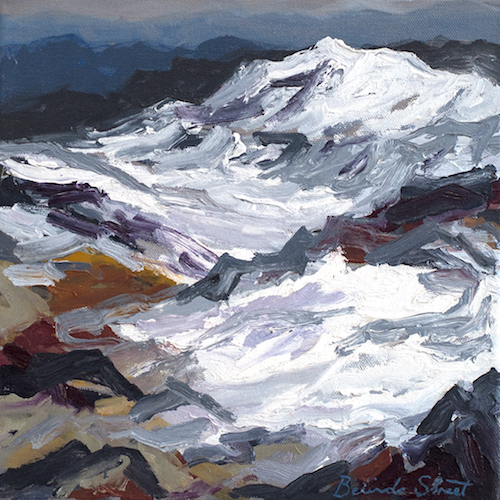 Belinda's work is held in private collections both in Australia and overseas. Best wishes for a wonderful holiday season, may next year bring peace and prosperity. Jo Katsiaris and Jane Frances Reilly. An Invitation to Dungog Contemporary's 1st Birthday Party! Madeleine Cruise - "Theatre of Objects"
Ondine Seabrook in her own words. Ken O'Regan & Ondine Seabrook. Two openings at Dungog Contemporary on June 30th. Fiona Barrett-Clark's show and our stockroom hang. Sir Peter Blake's Razzle Dazzle "Snowdrop"